Amazon, McAfee, Texas Instruments and HP had all come calling. As we celebrate Women’s History Month, it’s worth pausing to reflect not only on the impact AT&T women have had on millions across the globe for more than a century, but on the role they play today, the role they’ll play in our future – and why AT&T is truly a great place to work for women. Women like Rachel Simon, vice president of Shared Services, who describes working here as “living my dream” because she’s fulfilled as an employee and as a mother. “I always knew I wanted to work, and I wanted to be a mom,” she explained. “I wear it as a badge of honor that I’m a working mom. My office is decorated floor to ceiling with pictures my children draw me. For every Chelsea, Rachel, Carmen and Laura, there are thousands of others just like them. They’re in our call centers, garages, offices and retail stores. They’re in our communities and our boardrooms. And no matter their level, they know that at AT&T, they can be — and become — whoever they want to be. Like this story? 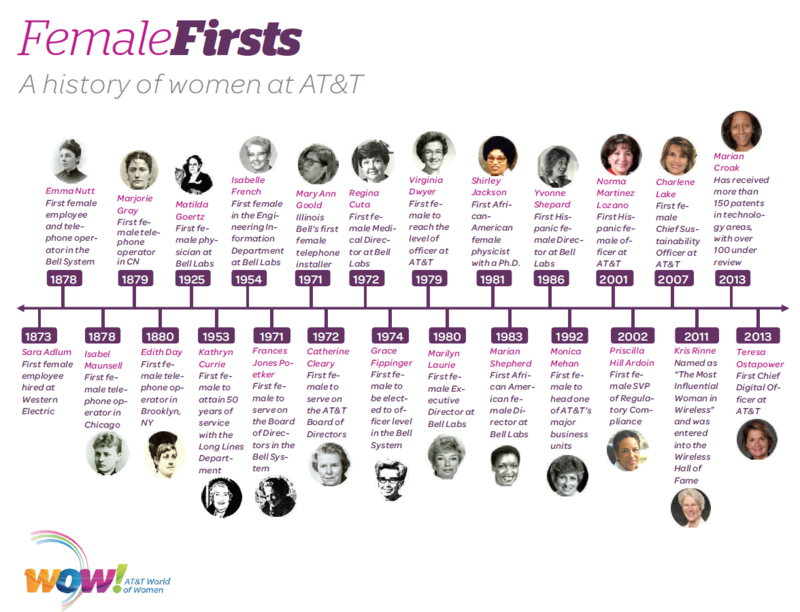 Share it with your network: #femalefirsts.